Volac, the sixty-second Goetia Spirit, has been portrayed as a winged cherub riding a two-headed dragon. A second and more recent portrait shows Volac as a small and winged entity. He looks more like an alien than a human child. And his feet are riding the backs of two large intertwined serpents, not one dragon with two heads. 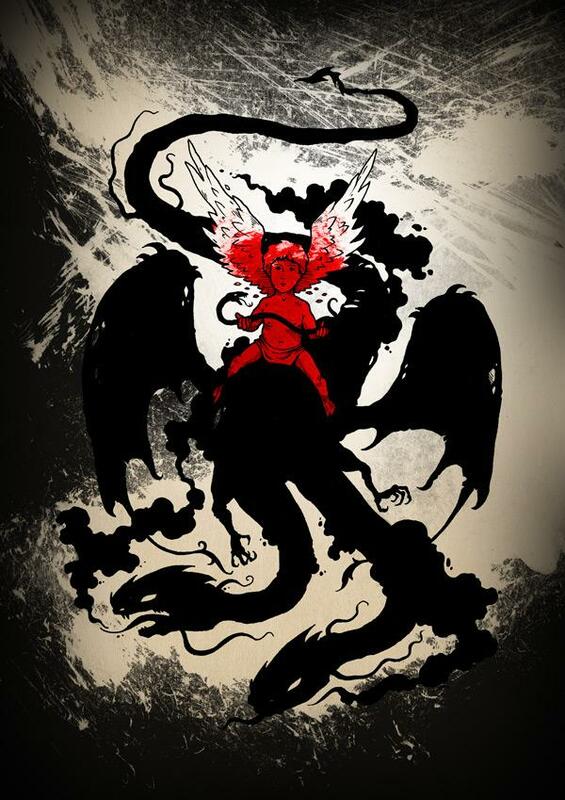 Collin de Plancy said of Volac: "He appears as a child with angel's wings and riding on a two-headed dragon." Of course Plancy copied stories passed down by the old masters for hundreds of years. Is this where the idea of angels that look liked winged cherubs came from? Ironic that the story might have originated from a magician evoking a demon. What are Volac's powers? He tells of the positions of the planets and where to find serpents. He is said to know the location of hidden treasures. His rank is President of Hell and he has 30 legions of demons under his command.